This ritual started around 3 in the afternoon when there is less near year visitors. It has been said that Empress Jingu stayed in this shrine before leading her army to Korea. didn’t crow in the morning of her departure. 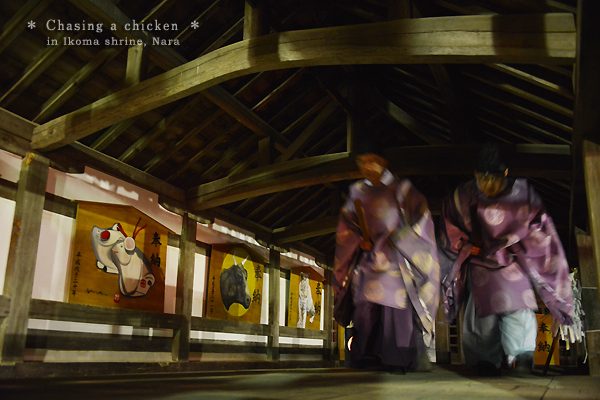 But fortunately, this chicken was rescued downsream of Takita Shrine. This ritual is held based on this tradition.